"La mas extraordinaria serie de tve ahora con toda su magia realizada por Forum!" "The most extraordinary series now on TVE with all its magic made by Forum!" Don't expect voluminous commentary on popular culture after this week's mega-posts on the 1992 R.EM. and the 1992 Red Hot Chili Peppers. 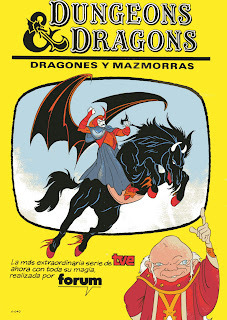 Accordingly, be content with this early 1980s Spanish language advertisement for the television adaptation of Dungeons and Dragons a/k/a Dragones y Mazmorras. Surely you recall the wise Dungeon Master in the bottom right hand corner of the advertisment or the vile and villianous Venger more prominently displayed. Man, I loved that show as a kid. 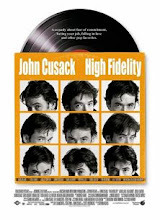 The English version, of course.